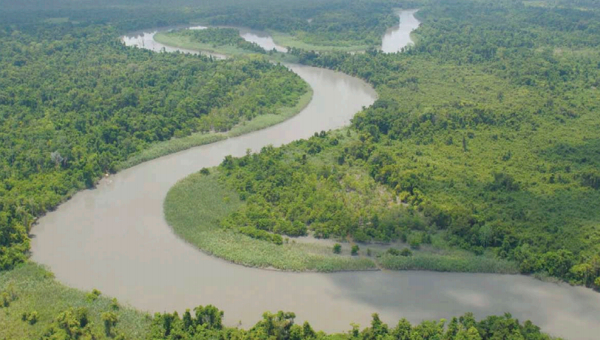 Will the mighty Sepik River end up a “dead river” like her sister, the Fly? NORTH Fly MP James Donald says the pollution of the Fly River by Ok Tedi mine should be a lesson for other mines in the country. He called for a review of the Porgera Gold Mine because the mine was contributing to pollution. Donald said with huge pollution issues facing the province, the experience of Ok Tedi and Fly River should be a lesson for other mines like the Frieda mine project whose operation can affect the Sepik River. Donald said to put his grievance on record, the Conversation Environment Protection Agency (formerly the Department of Environment and Conservation) had been “very weak”. He said record showed that issues of the people were never handled. Donald said the people of Western were being affected by the activities of Ok Tedi and Porgera mines, therefore there was a need to review the Porgera mine operations because it was affecting the Fly River. “People are really affected and how can you allow us to be affected by two mines like these? We have to review Porgera also because we are feeling the pain of the damage caused by the two mines,” he said. NCD Governor Powes Parkop said dumping mine waste into the river system is only practised in PNG. “No other country practises them, not even in the US, in Europe or Australia but here we allow that to happen. Are we less human in allowing mining companies to dump their sediments and waste into the river systems? We (the government negotiating team for Ok Tedi, of which I was a member) knew way back in 1976 that dumping tailings in the river was stupid. Our agreement did not allow it. Only years later, when BHP pleaded that the tailings dam would be too expensive, did the then-government of Julius Chan allow dumping into the Fly River system. Shame on them.